The family band has a certain quality that’s tough to emulate. In Binghamton, there’s a band that is doing just that. Composed of Michael Toyryla (guitar), Jesse Wheeler (guitar), Keagan Toyryla (bass/vox) and Caleb Wheeler (drums), Tijuana Danger Dogs are a rock and roll family. Michael and Jesse met in 1999, subsequently gigging in various hard-rock projects. In 2010, an accident left Michael unable to perform live. Continuing to pursue the passion, Michael worked at recovery and the duo were able to find their niche in the studio. Here they cut their teeth songwriting and producing. Eventually, after a miraculous recovery, Tijuana Danger Dogs were able to start performing live again. This time, each of the original two members brought their son on board. Keagan and Caleb rounded out the lineup and the rock family was in full action. 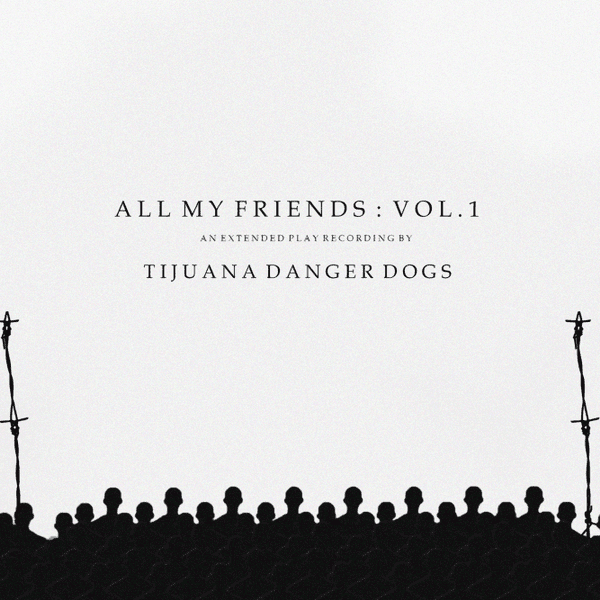 Their new release, All My Friends: Vol. 1 finds the band with various featured vocalists. Each song offers a different view of the group and leaves a lot to look forward to in future releases. Overall the album has an encompassing rock n’ roll theme, dipping into such influences as Pearl Jam, Radiohead, and Green Day. The featured vocalists provide nice variety in every tune and tend to be the solidifying factor in the atmosphere of each song. While the rock is relentless throughout, the songs sometimes lack a certain build and dynamic range, which is partly a product of the production quality which can come off as more lo-fi. The hooks on the songs are great, and the melodies stack up well against the instrumental backdrops. The second track, “All My Friends (f. Tim Ruffo)” is a nice country themed song that highlights some of the band’s best qualities. The harmonies are executed well and the lead guitar offers a colorful solo. The drum performance is tight and meshes well with the bass line. There are some Fueled by Ramen (record label) type aesthetics on here, particularly in the third song, “Getaway (f. Asia Toyryla)” where the vocal inflections tend towards pop-punk. Little soundscape additions at the end of the tune add character to the recording and outline some of the interesting ideas the band includes in their tracks that will differentiate them from other rock families. The album runs the gamut of rock influences and dips into some of the budding ideas the band has of their own. Each track has a nice variety, though the energy is often static on portions of tracks. This isn’t to say the energy isn’t that of typical rock style- there are some hard hitting parts. 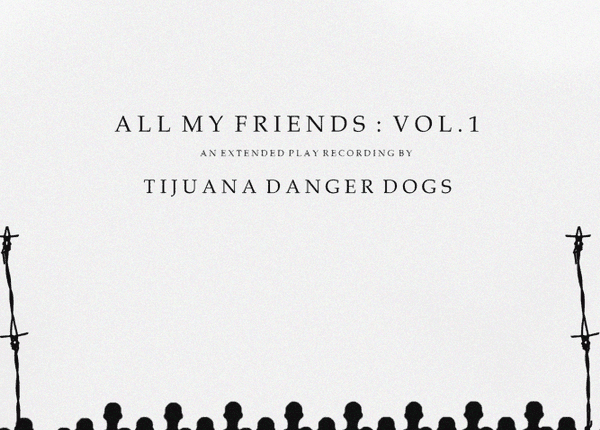 It will be interesting to hear what the Tijuana Danger Dogs have planned next- future studio work and live shows are on the horizon for a band whose potential is evident in this release. 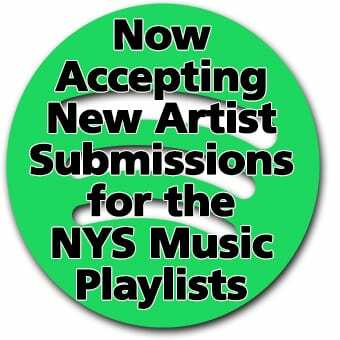 Check out the album on their website and catch them live as they begin to hit the road again.